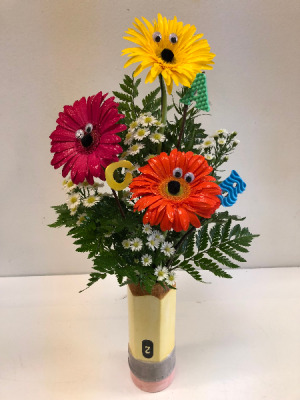 Get ready for school with this adorable pencil arrangement! 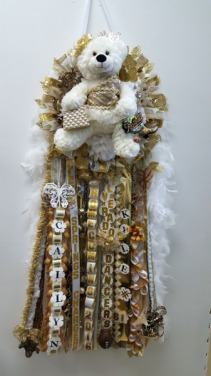 We make custom Homecoming mums for ALL High Schools! 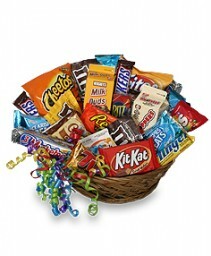 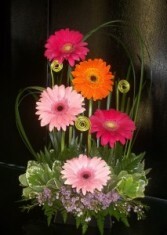 We have a large variety of colors and designs available for you to choose from. We can create your mum as elaborate & as big as you would like! 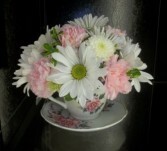 Or, if you have your own ideas, feel free to bring in inspiration photos or trinkets and we will make something really special for you! 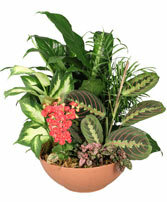 This beautiful garden scenery will send you outdoors while enjoying the comforts of the indoors. (The ceramic container may vary in color) In an effort to ensure that your arrangement arrives on time, we reserve the right to substitute any flowers and containers of equal or greater value. In making substitutions, we take great care and consideration in selecting flowers that will meet or exceed the expectations of both the arrangement giver and recipient. 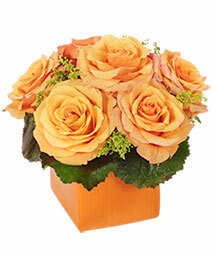 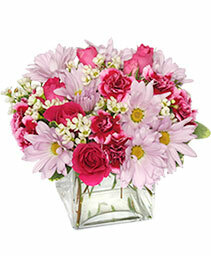 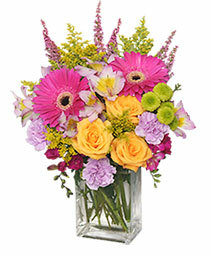 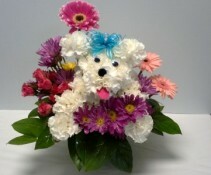 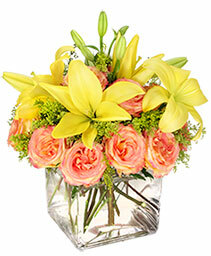 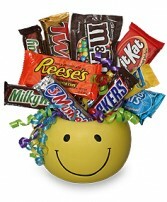 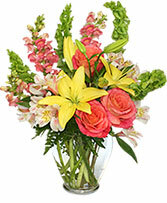 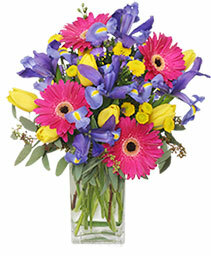 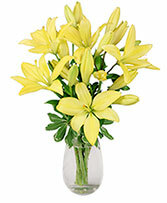 Make someone's day even better with this lovely companion made with fresh flowers. 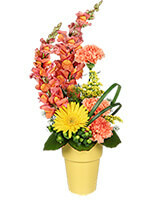 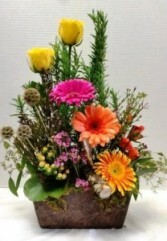 This beautiful arrangement comes with choice in the color of mug. 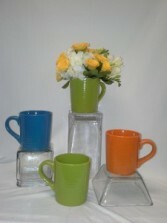 (Teal, Green, or Orange) Perfect for getting back in the mood for school.